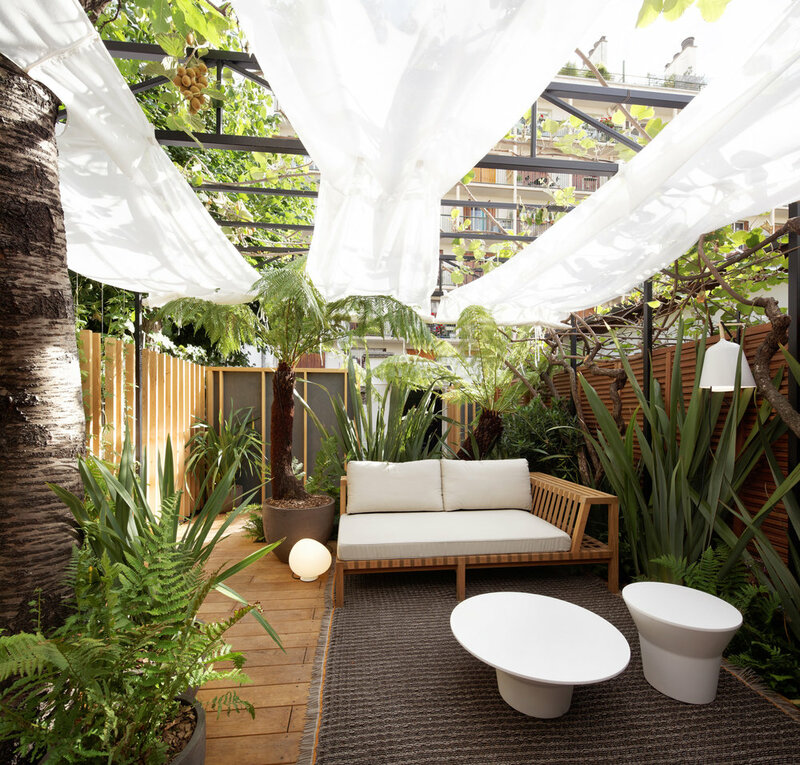 Nestled at the bottom of a small Parisian impasse is now an urban garden of 35 sq. meters with an exotic atmosphere. Despite its small size, we split the garden in two spaces to enable visitors to discover it gradually and to offer areas dedicated to the owners’ habits. The entrance to this urban oasis is through steps carved into tropical plant leaves at a lower level. Discreet lighting underlines the details imagined by the Agency Christophe Gautrand & Associates. The visitor is quickly surprised by tones and texture of the “trompe l'oeil” planter and by purity of the floor white gravel. 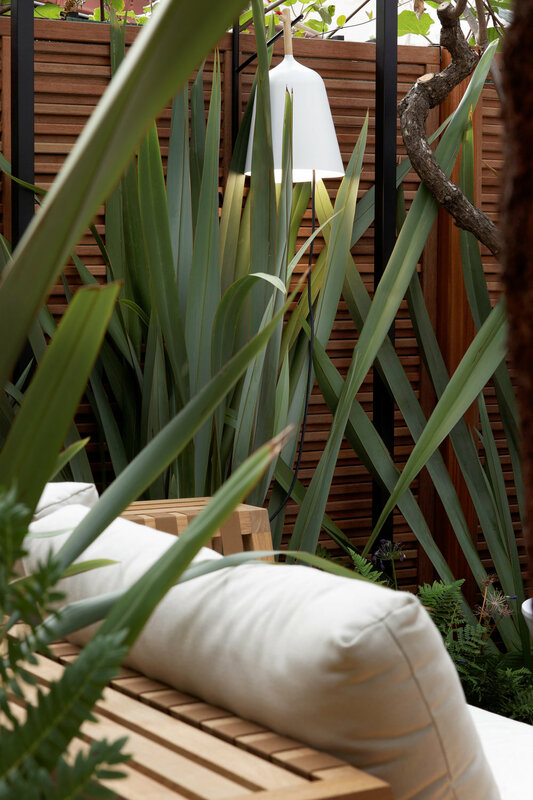 Discreet wall lights attached to the wall screen offer subdued lighting at night in this private tropical garden. An intimate and warm atmosphere mixes with nature. 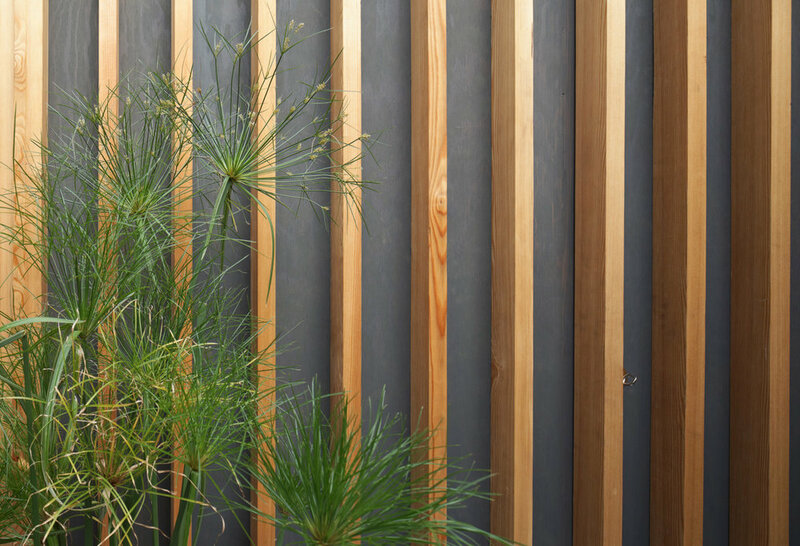 A geometric covering of the common wall is achieved through wooden slats on which planters of tropical plants overlap. The lines, the colors and the spaces have been thought out perfectly by the landscape agency. This tropical garden offers several possible readings to the visitor who has an increased sense of detail. The wooden slats carved into the steps base, the “trompe l'oeil” planter or the encrusted LED lighting bring harmony, voluptuousness and mastery to this space.